"Overall I was pleased with our defense. I thought they did a great job holding those guys under 100, given the fact we turned it over 20 times. It was a heck of an effort by the guys tonight." "It’s going to increase a lot. We’re missing a rebounder and another scorer that causes a double-team. He helps me to get easy shots. We’ve got a ton of guys that can fill his place and know our offense. We’re already deep down in this season. We’ve just got to roll with it. We hope he gets better. We don’t want to rush him back [because] that’s something serious with his heart. We just want him to get better and feel comfortable with himself about stepping out here on the floor again." 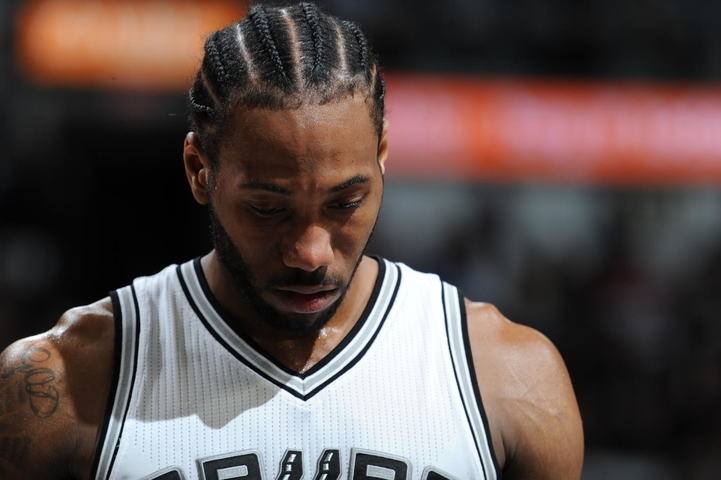 "It was great to have Kawhi back tonight, obviously leading the way. The rest of us filled in and did the best we could. My job when I came here was to be ready for any circumstance. I’ve played, started for years and years in the league; a couple hundred games in a row I think I started. Then I’ve come off the bench a bunch and found a way to be successful. My job is when my number is called, no matter what that role is, it’s to play hard and play smart." "Well, I’ve seen him play over time, and he’s definitely not a minimum player, for sure, and he’s proven that to a lot of people, hopefully. It’s just a matter of sometimes circumstances are more important or affect your life more than you, individually, and that happens to all of us. It’s called life, and he’s worked through it and come here and done a heck of a job." "[Lee] and Dewayne [Dedmon] have been great. They have been key for us, especially with [Aldridge] being out and Pau coming off the bench. Those guys have done a great job on the boards and altering and blocking shots. We’re usually last in offensive rebounding, but I think they brought us up a notch or two. They’ve done a great job on the boards, getting there and getting us second opportunities. We always respected [Lee]. He had always played great against us. He was well-respected, used both hands. Injuries had plagued him, but he’s been fighting through the little bumps and bruises. He doesn’t want to sit out."